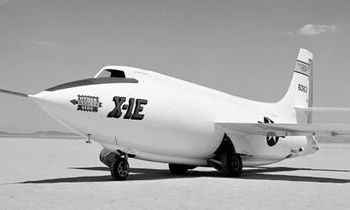 The NACA X-1E was the last of the X-1 series of aircraft, and its construction benefited from the lessons of earlier research aircraft programs. This included the explosions which destroyed the X-1D and the X-1-3 research aircraft, the poor performance of the X-3, and the destruction of both X-2s. 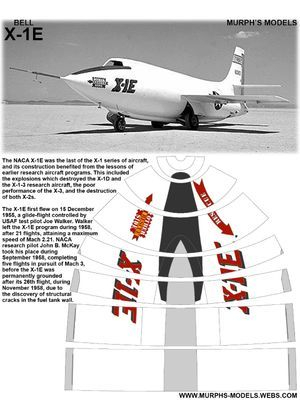 The X-1E's research flights indicated the aircraft had marginal directional stability at high Mach numbers. 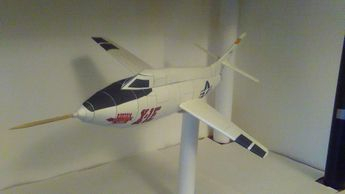 The X-1E, despite all the modifications, still had the original bullet-shaped X-1 fuselage, so this would be expected. After the 26th by the X-1E, the aircraft was grounded for inspection and installation of a new ejection seat. During the inspection, X-rays showed a significant crack in the fuel tank wall. The cost of repairing the crack, along with the impending arrival of the X-15, meant the end of the X-1E program. A number of the research projects intended for the X-1E were transferred to F-104s, which had similar performance. The X-1E is on display in front of the Dryden headquarters building.